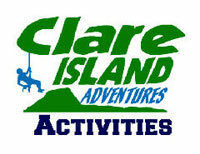 Clare Island Adventures is a joint venture between Adventure West, Go Explore Hostel / Sailor’s Bar & Restaurant and Clare Island Ferry Company who have teamed up to provide a high quality experience to those interested in exploring adventure activities on the island. Offer your colleagues a break from the grind, to regroup, re-energise, and to connect as more than colleagues in a unique location. Packages on offer for primary school tours, transition year outings and third level student getaways. For competitive sports teams who want to up their game, and get their team back on track and winning competitions. For the most memorable hen party or stag party, west is best. 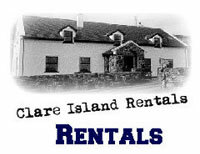 And Clare Island tops the rest! Any club, society or private group who fancies an outdoorsy weekend, we can put together an adventure activities package to suit your needs. Our adventure activities offer both land-based and water-based options. Choose from snorkelling, coasteering, rock-climbing & abseiling, orienteering or hillwalking. 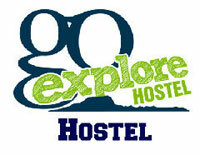 Just had a really lovely few days at the Go Explore Hostel on Clare Island, Co. Mayo. Beautiful spot, very very helpful and friendly staff. Plenty of people at the place as it has a bar next door, separate from the hostel. Plenty of peace and quiet if that's what you want. And excellent facilities. The chillout sitting room is faced onto the sea with huge windows to gaze at the ocean for as long as you like. Plenty of interesting activities being organised by this new hostel for outdoor types. Highly recommended! !